Judy McNab, who lives in Hampton, New Brunswick and is a regular at our Saint John store, has been visiting the Mazatlan area of Mexico since 2014. She first started making the journey when she was invited by friends to stay for 10 days after her husband passed away. Each year since, she has stayed for about 2 months, in part because she has found purpose in helping the hundreds of stray dogs in Mazatlan. 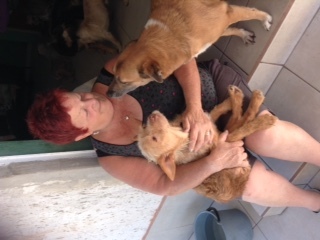 At least once per week during her trip, Judy volunteers at the Santuario Animal La Esperanza (Hope Sanctuary), which is run by Lupita and her staff. A number of years ago, she donated her home and land to house the animals in the care of the charitable organization, Mazatlan Animal Rescue. Mazatlan Animal Rescue (MAR) unites several smaller animal rescue projects in the Mazatlan area, providing 90% of the sanctuary’s funding. About 100 dogs and cats at a time can be rescued, rehabilitated and rehomed by the shelter. Homeless animals are often sick, injured, malnourished and in distress. 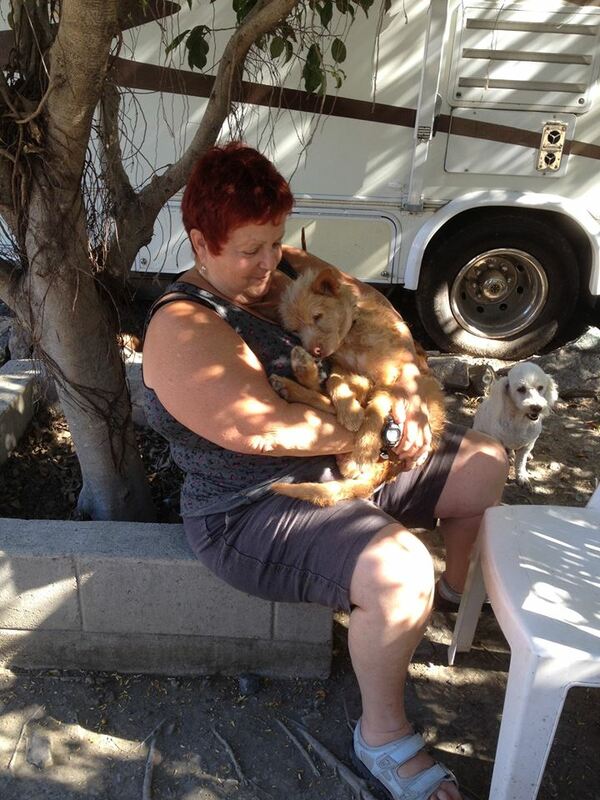 MAR provides veterinary care, temporary housing and love to bring each animal back to health. All of animals are spayed/neutered and vaccinated before being placed for adoption. Similar to New Brunswick’s Ca-R-Ma, MAR also runs a trap/neuter/return program for feral cats. Most of these cats live in colonies where people feed and watch over them. Judy relies on rides to Hope Sanctuary from friends she has made in the area. She stays in a little hotel on the main road of Mazatlan, which is right by the beach. 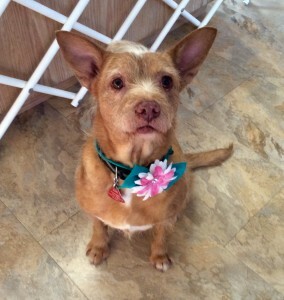 The beautiful Rina, the special dog that Judy adopted from Mexico. Canine erlichiosis is a disease found worldwide that is transmitted by Brown Dog and Lone Star ticks. Erlichiosis is treatable, but the necessary injections are expensive (about $100 per vial in Canada). This is why the help of Judy’s network of vets is so important. Judy sponsored Rina while she was in Mazatlan and each week she saw improvement. 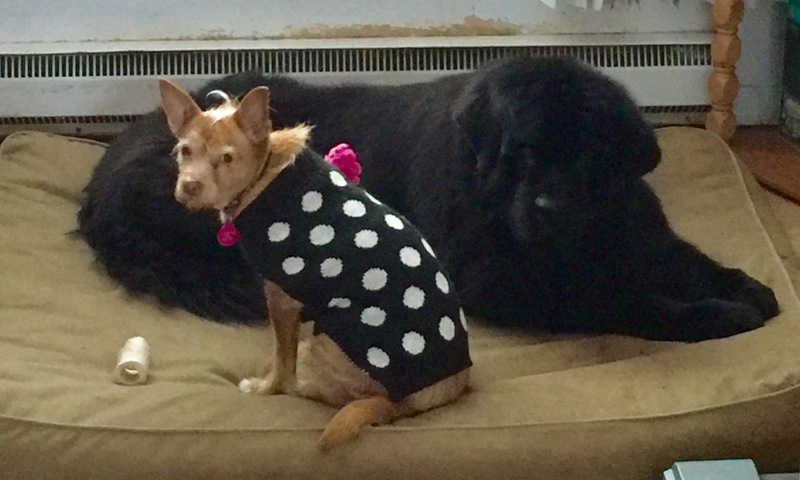 She was eventually well enough to be spayed, but when Lupita told Judy that she would likely never be adopted because of neural damage from the erlichiosis, Judy knew she had to give her a chance. She chose to adopt Rina and bring her back to New Brunswick. Rina was not ready to come home when she left in March 2016, but she made arrangements with snowbird friends who brought her to Ottawa with them. Other friends then drove her New Brunswick. She now happily lives with Judy in her Hampton home with her Newfoundlander dog, Port. 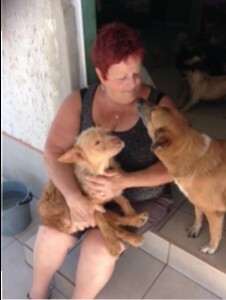 While she is in Mazatlan this year, Rina and Port are cared for by loving friends. We wish Judy all the best and sent her on her way with a bag filled with necessities. If you wish to donate to Mazatlan Animal Rescue, please visit their website.